Friday the 13th in Echo Park just got better! I’ve been curious about this fabled plot of land even before it was dubbed Smurf Village — its local provenance from remnants of blue construction steel. Nestled on the corner of Delta and Echo Park Avenues, 36 new town homes rise along the corner where we’ve all grabbed coffee from Chango’s. 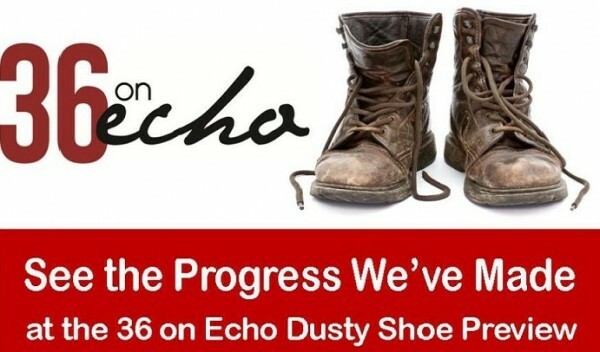 Cheekily called the “Dusty Shoe Preview,” the site will be open Friday, July 13th from 4 p.m. to 7 p.m. Some nosh will be provided for guests, while tours start at around 4:30 p.m.
I’ll be dropping by for the 2nd half of the open house. For additional information on this Echo Park development or upcoming ones, please call Jovelle Narcise at (213) 718-1110. D.R. Horton, Inc. represents the Seller. Additional information can be viewed here.